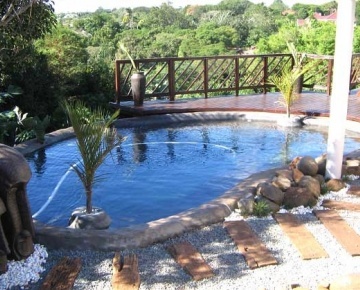 If you're in the market for a pool or water feature, then do contact Pool and Garden. 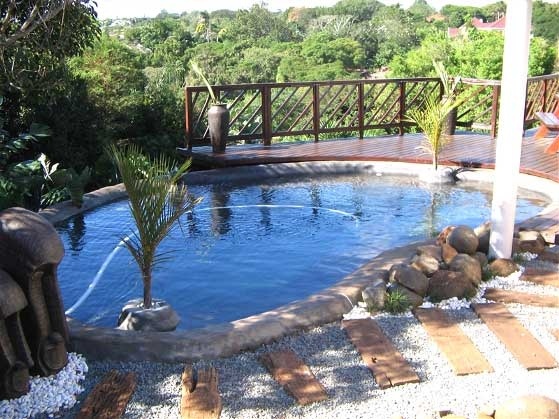 Choose from a wide variety of rock and beach pools, splash pools, conventional or rim pools, koi ponds and water features and all built to meet your exact needs and specifications. 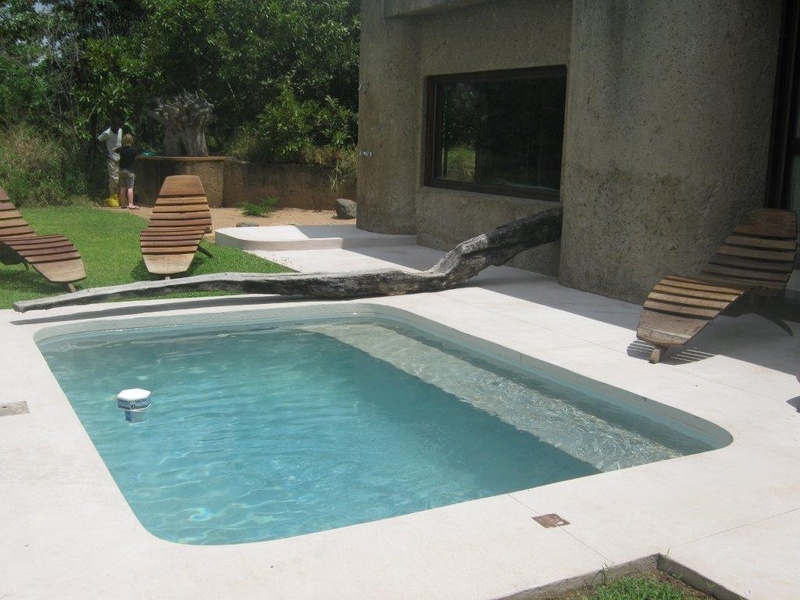 Pool and Garden specialise in the construction of concrete pools because the design possibilities are endless and are also perfect for restricted areas. 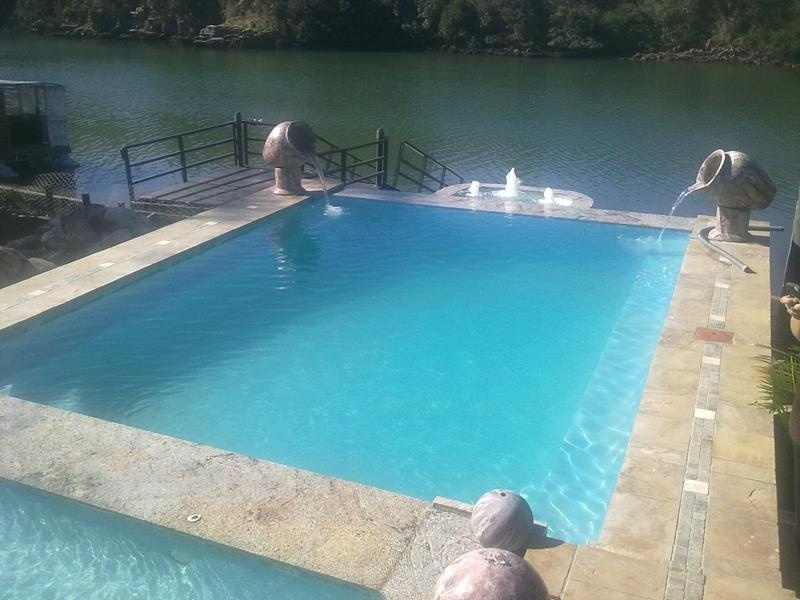 All Pool and Garden pools and ponds are built incorporating a 30 Mpa steel reinforced concrete shell which is then finished in either tile, rock or beach. 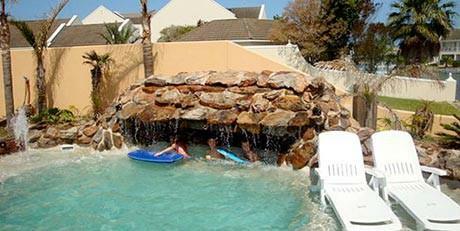 The beach pool is the ideal family pool. 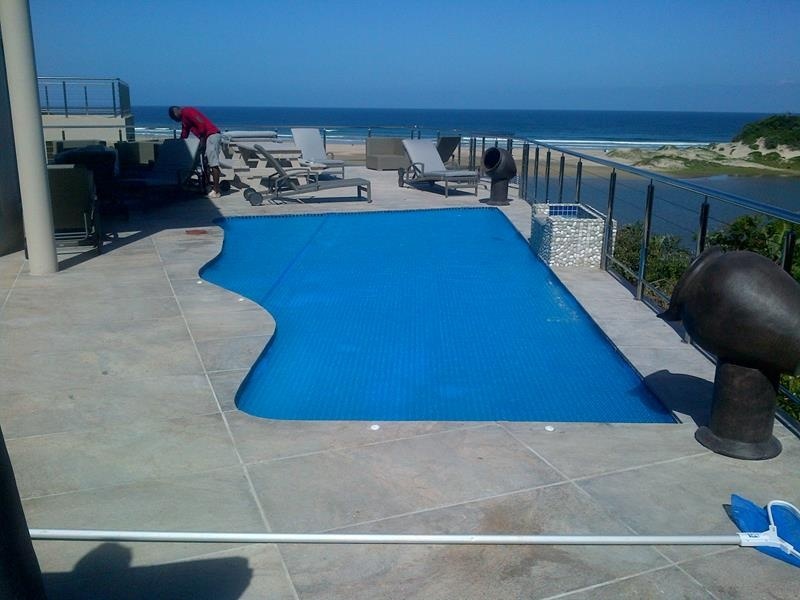 Instead of paving, beach pools feature a broad shelf or "beach" area below the upper surface of the water. 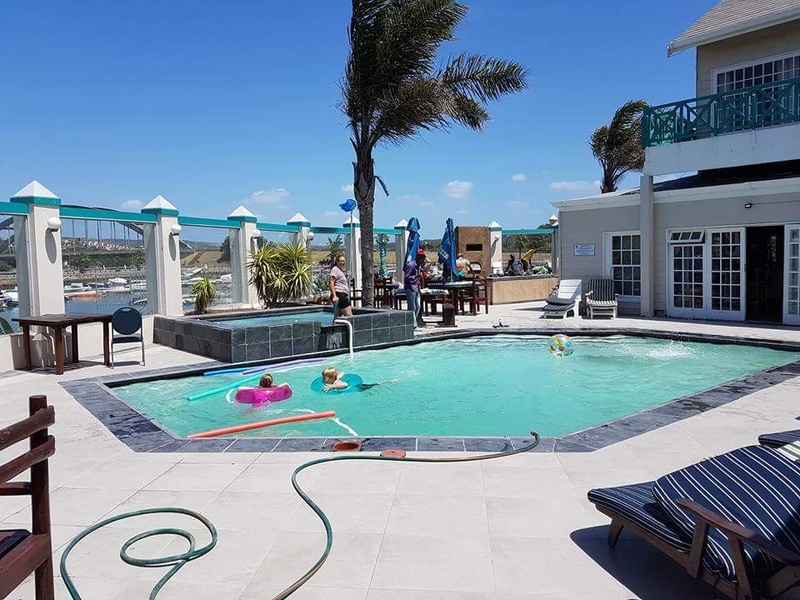 The shallow beach area which is ideal for suntanning, also serves as a baby pool where children and pets can play in the shallower, warmer water. 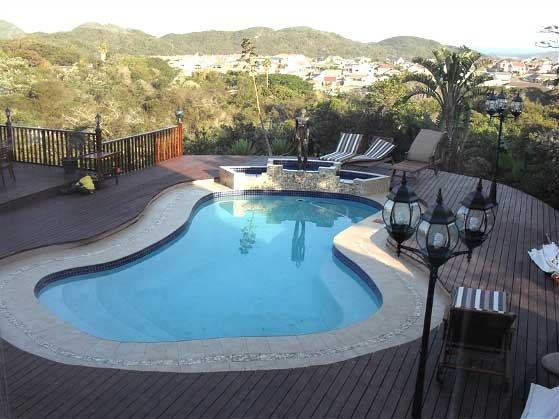 The Rock and Beach Pool combo is Pool and Garden's specialty and has won them 'Pool of the Year'. 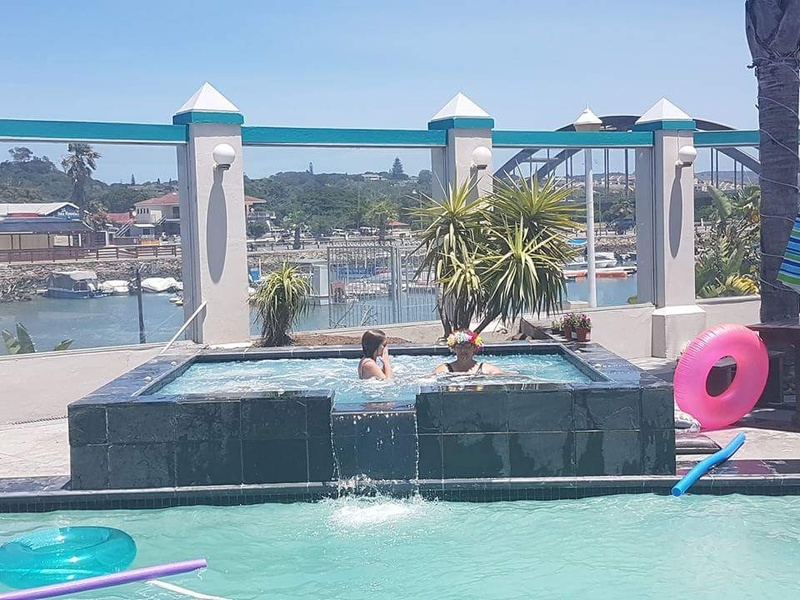 The combo consists of a natural rock waterfall, sandstone paving and tropical plants combined with beach pool fountains, sand dunes with umbrellas and beach areas which provide the perfect playing area for both children and pets. 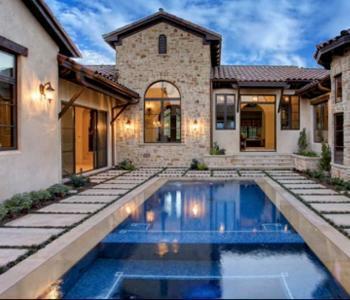 Stunning and practical, this is any owner's dream pool! 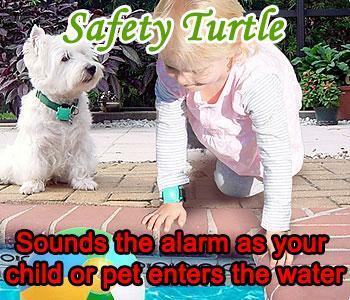 Their conventional pools are finished in either chip tile or pool plaster with a mosaic and tile surround. 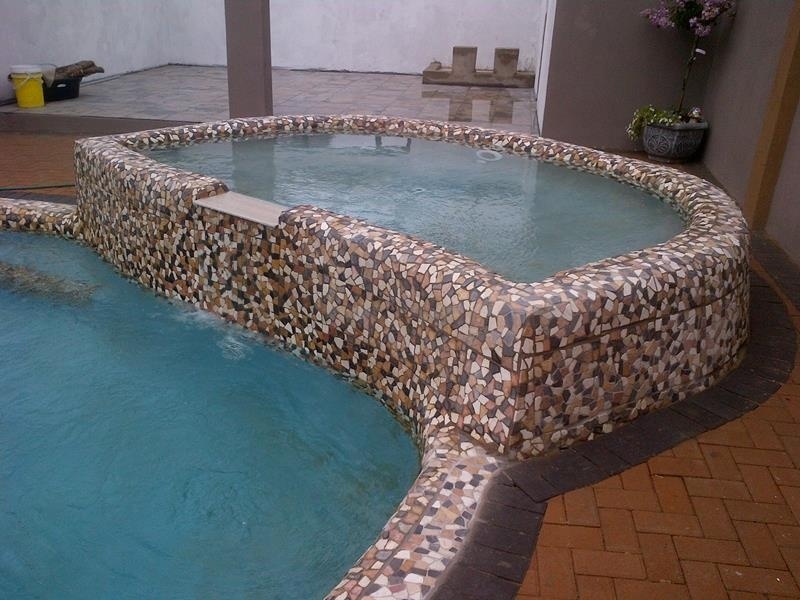 Pot features, spouts and creative water features can also be incorporated into the design to complement and complete the pool, creating a relaxing atmosphere all year round. To be happy and thrive, koi fish require very specific conditions. Pool and Garden go to extreme measures when building a koi pond. They use only the best filtration systems possible to ensure that your koi remain healthy and happy. As a member of SAKKS, they take pride in spawning their own koi and will include five healthy koi with every new pond installed. 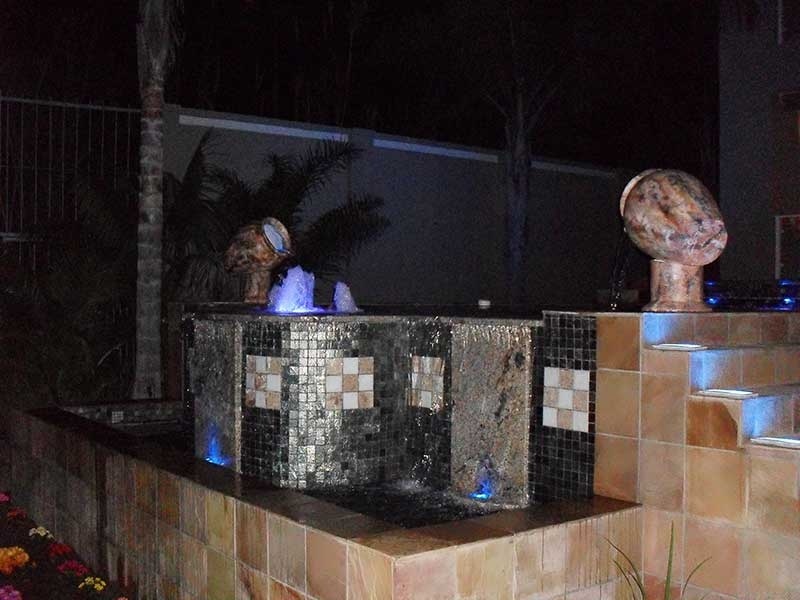 Water features are designed and built to attract the eye and to bring life to any office, garden or entertainment area. 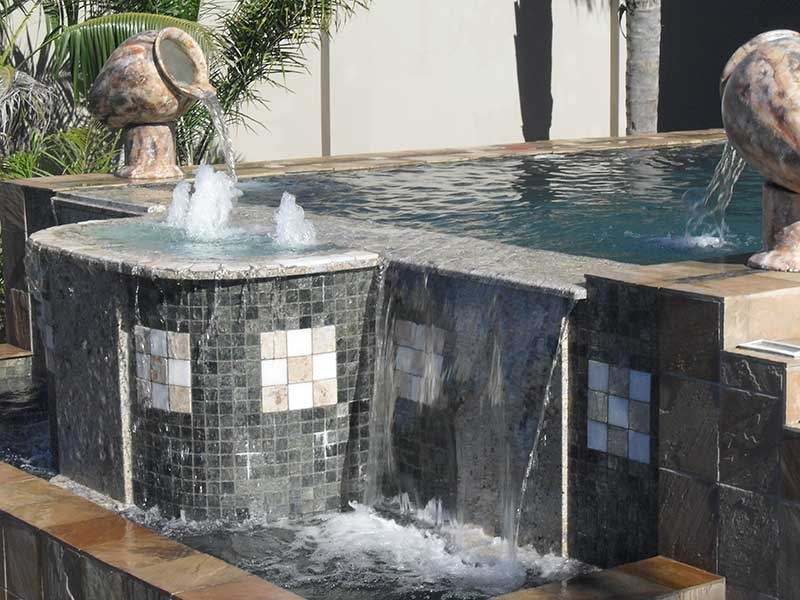 When using Pool and Garden to install a water feature, each step of the process is carefully considered - from choosing the right style to the exact size and position of your pool, pond or water feature. 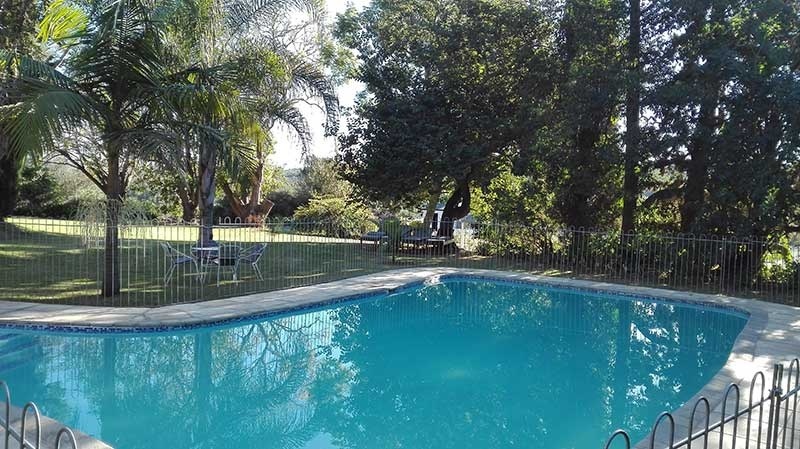 Sound practical advice and the most effective design for your specific area are combined to ensure that you end up with an aesthetically pleasing pool or water feature that is guaranteed to give you years of pleasure. 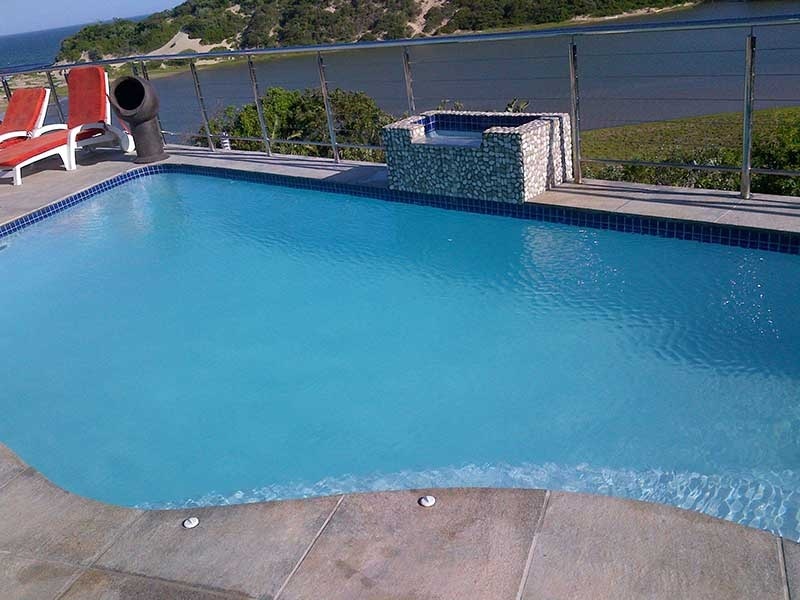 In addition to building pools and water features, Pool and Garden also do repairs to existing pools and supply, install and maintain filters, pumps, salt chlorinators, heat pumps and safety nets. 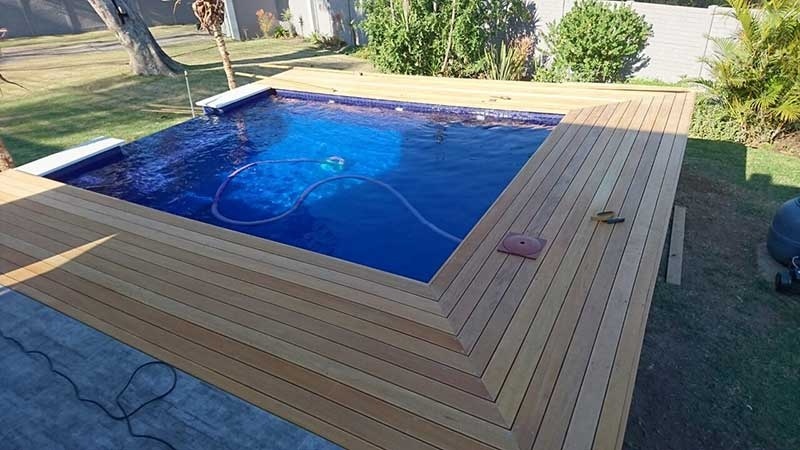 So, whether you are in the market for a new pool or water feature or need help with repairing the one you have, Pool and Garden can help you with it all!